Product prices and availability are accurate as of 2019-04-07 03:51:26 EDT and are subject to change. Any price and availability information displayed on http://www.amazon.com/ at the time of purchase will apply to the purchase of this product. 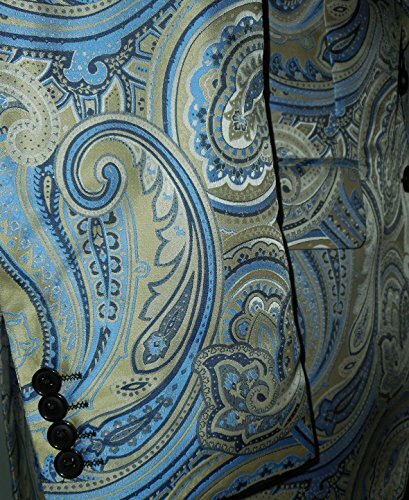 Mens modern tailored fit deluxe paisley jacket by Leonardi. 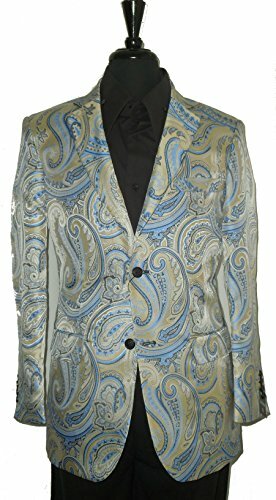 High fashion blazer, sports coat, clubbing jacket, dinner jacket. Beautifully made, full construction, two button closure, double vents, interior and exterior pockets. 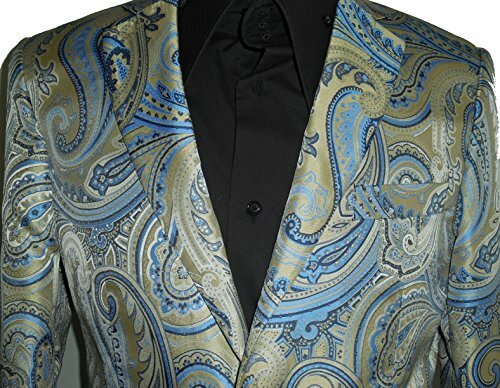 Fancy jacquard fiber content 100% intricate woven polyester with sheen. Please follow size conversion and chart for accurate fit. 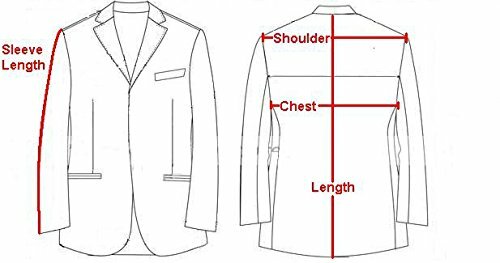 Measure one of your existing jackets, not your body. size:small 36 suit jacket chest:20" waist:19" shoulder:17 3/4" length:24 1/2" 30"
size:medium 38 suit jacket chest:20 1/2" waist:20 1/2" shoulder:18" sleeve:24 1/2" length:30.5"
size:large 40 suit jacket chest:21" waist:19 1/2" shoulder:18 1/4" sleeve:25" length:31"
size:xlarge 42 suit jacket chest:22" waist:20 1/2" shoulder:19" sleee:25" length:31 1/4"
size:2xl 44 suit jacket chest:22 1/2" waist:21 1/2" shoulder:19 1/4" sleeve:26" length:32"